You can replace default contact form with new form of your choice. 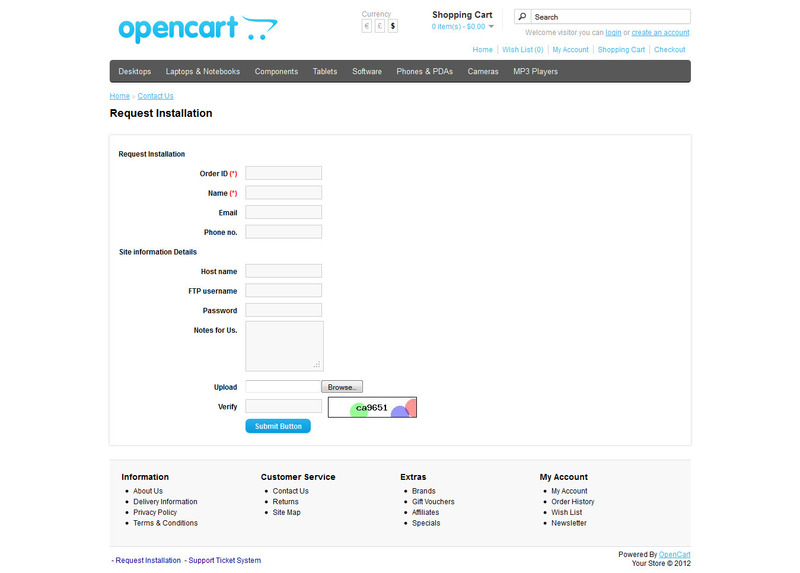 We have follow Opencart CSS for form in frontend so it won?t effect your theme or design. Clean code and design with browser compatibility. 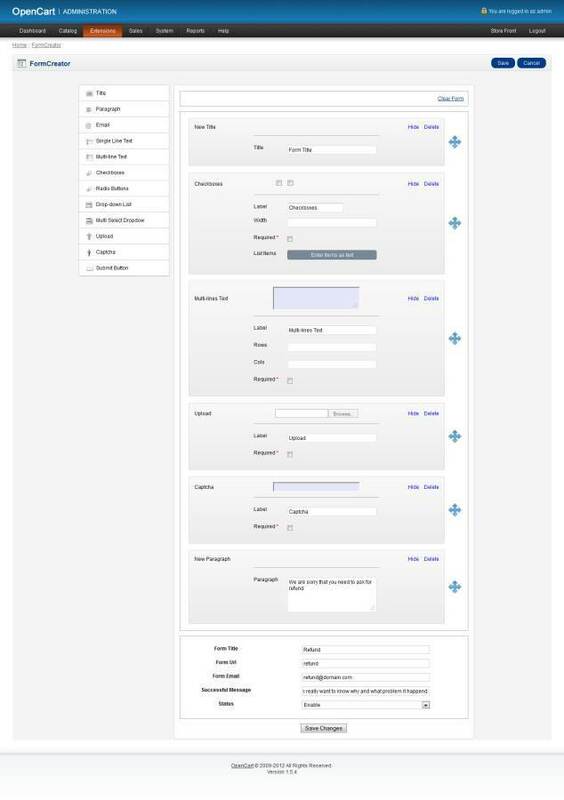 Note* You won?t able to save or create or delete forms on demo version . Due to security. 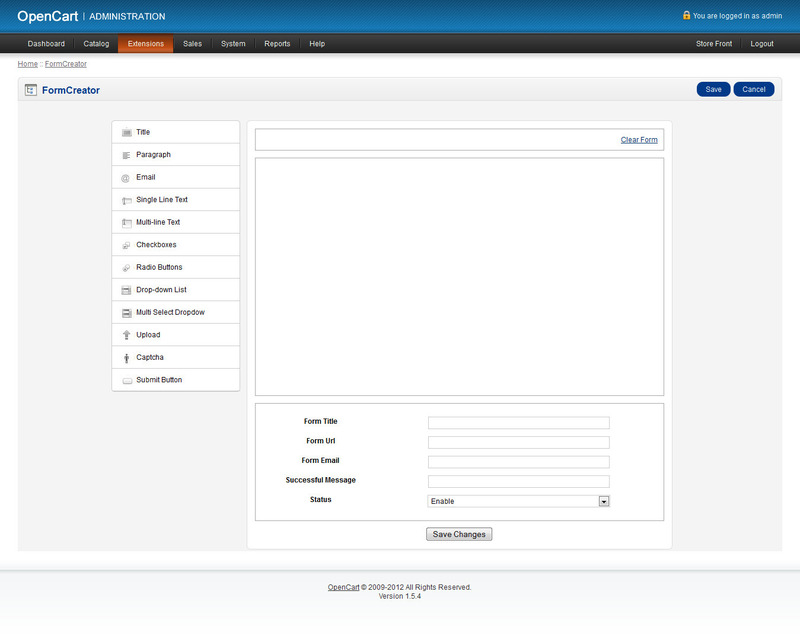 No files are replaced and modified, safe and sound , easy to install in 3 steps. * Time Picker field added..